Obtaining land use entitlements and environmental clearances for projects requires compliance with both State and federal endangered species acts (ESA). This often requires consultations with responsible resource agencies to secure necessary authorizations. In some instances this requires compliance pursuant to a Habitat Conservation Plan (HCP) or Natural Community Conservation Plan (NCCP). HCPs are planning documents required as part of an application for an incidental take permit under the federal ESA. They describe the anticipated effects of the proposed take; how impacts will be minimized or mitigated; and how the HCP is to be funded. 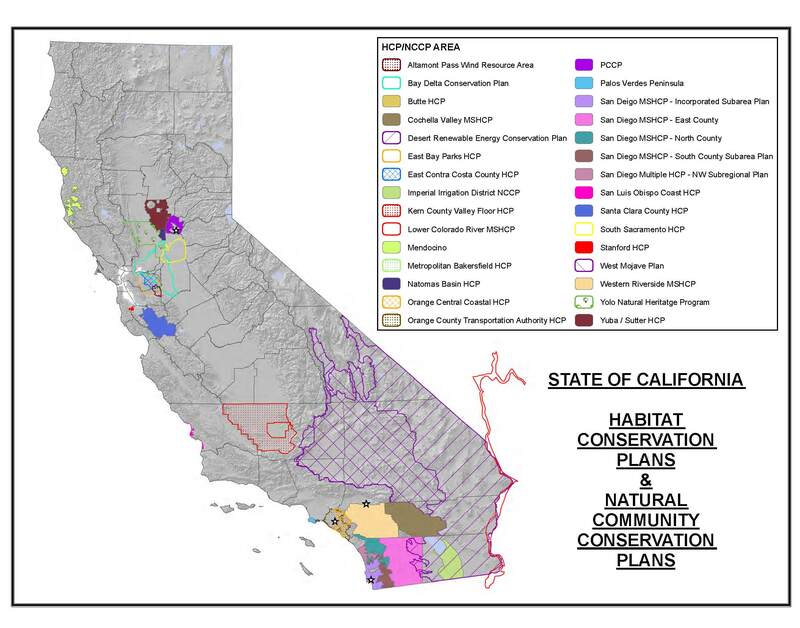 An NCCP is a state program that takes a broad ecosystem approach to the protection of species and biodiversity. It is a cooperative, multi-stake holder effort intended to protect habitats and species. ECORP’s staff of biologists and regulatory specialists can guide clients through compliance within the context of existing HCP programs or assist in development of species-specific HCPs in pursuant to Section 10 of the federal Endangered Species Act. ECORP is familiar with the requirements of several established HCP and NCCPs in the State of California and can assist clients with regulatory permitting needs as they pertain to these plans. In instances when a project may affect a federally-listed species but lacks a federal nexus (under Section 7 of the federal ESA), ECORP can prepare a project-specific HCPs pursuant to requirements under Section 10 of the ESA.